Better late than never! Heres to a great 2013! The Peter McVerry trust supports young homeless people by helping them to break the cycle of homelessness and move towards independent living through other care services - for more details on the services provided by the Peter McVerry trust please click here. This year we have donated to the Peter McVerry trust - supporting the excellent work they do for the homeless in Dublin. 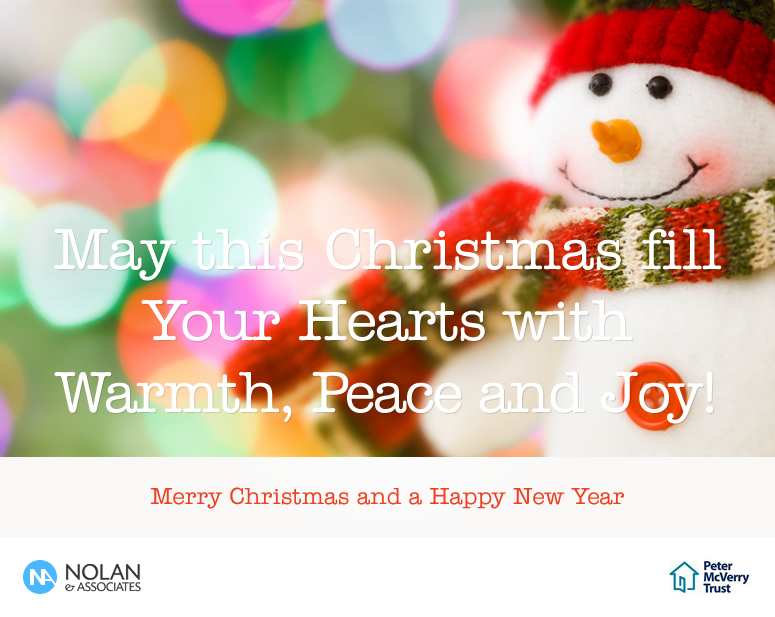 Many thanks to our clients for all your support in 2012 and Happy new year from the Nolan & Associates team.